Title: STOP the Presses! The very latest in the New Nero & Archie Series. ★ Stop the Presses! A Nero Wolfe Mystery Robert Goldsborough. Mysteriouspress.com/ Open Road, $14.99 trade paper (250p) ISBN 978-1-5040-2357-3 Goldsborough’s outstanding 11th Nero Wolfe pastiche provides a sedate contrast to the previous volume, 2015’s Archie in the Crosshairs, which opened with a bang, as someone shot at Archie Goodwin, Wolfe’s leg man, on his way home. Lon Cohen of the New York Gazette asks for Wolfe’s help after his paper’s most-read and most-notorious writer, Cameron Clay, receives death threats. Since Clay’s column routinely ruffles feathers, that’s not an unusual occurrence, but the writer views the current threats as more serious. Wolfe agrees to meet with Clay and gets a list of the five people most likely to pose a danger to him, including a real estate magnate and Clay’s diva exwife. But after the columnist rejects protection, he’s found dead of a gunshot wound, and the Gazette’s publisher asks Wolfe to challenge the police’s verdict of suicide. Offering one of his most surprising solutions, Goldsborough again demonstrates an impressive ability to emulate Rex Stout’s narrative voice. Robert Goldsborough (b. 1937) is an American author best known for continuing Rex Stout s famous Nero Wolfe series. Born in Chicago, he attended Northwestern University and upon graduation went to work for the Associated Press, beginning a lifelong career in journalism that would include long periods at the "Chicago Tribune" and "Advertising Age". While at the "Tribune", Goldsborough began writing mysteries in the voice of Rex Stout, the creator of iconic sleuths Nero Wolfe and Archie Goodwin. Goldsborough s first novel starring Wolfe, "Murder in E Minor" (1986), was met with acclaim from both critics and devoted fans, winning a Nero Award from the Wolfe Pack. Nine more Wolfe mysteries followed, including "Death on Deadline "(1987) and "Fade to Black" (1990). His most recent book is "Archie in the Crosshairs "
Stephen M. Silverman is a twenty-year veteran of Time Inc. and was the founding editor of People.com. He is the author of The Amusement Park as well as The Catskills: Its History and How It Changed America among many other titles. His work has appeared in Esquire, Harper's Bazaar, The New York Times, The Times (London), Vogue, and The Washington Post. He lives in New York City. 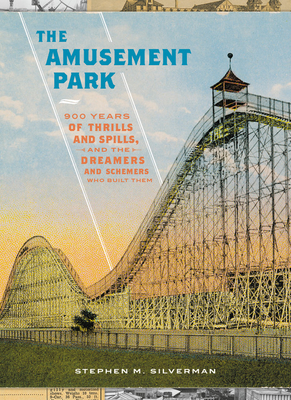 Title: The Amusement Park: 900 Years of Thrills and Spills, and the Dreamers and Schemers Who Built Them. Step right up! The Amusement Park is a rich, anecdotal history that begins nine centuries ago with the "pleasure gardens" of Europe and England and ends with the rise and fall and rise again of some of the most elaborate parks in the world. It's a history told largely through the stories of the colorful, sometimes hedonistic characters who built them and features, among many, showmen like Joseph and Nicholas Schenck and Marcus Loew, railroad barons such as Andrew Mellon and Henry E. Huntington, and the men who ultimately destroyed the parks including Robert Moses and Fred Trump. The many gifted artisans and craftspeople who brought these parks to life are also featured, along with an amazing cast of supporting players from Al Capone to Annie Oakley. And, of course, there are the rides, whose marvels of engineering and heart-stopping thrills are celebrated at full throttle. The parks and fairs featured include the 1893 Chicago World's Fair, Coney Island, Steeplechase Park, Dreamland, Euclid Beach Park, Cedar Point, Palisades Park, Ferrari World, Dollywood, Sea World, Six Flags Great Adventure, Universal Studios, Disney World and Disneyland, and many more. Neil Gordon is the author of the sensationally terrifying book Joe Batters, the definitive work on Tony Accardo and The Chicago Outfit. A creation of nonfiction, this is the last untold story of the 20th century. ​Gordon’s story began as a kid. While growing up in Phoenix, his father Dean, a novelist of Caribbean intrigue, surrounded his son with tales of mystery, suspense, and adventure. In 1972 when The Godfather premiered at the Cine Capri Theater, it was an eye-opener, and Gordon was hooked into the history and lore of the Mafia. ​A graduate of DU’s Hotel and Restaurant School, Gordon career included owner/operator of a Scottsdale steakhouse and blues club, and ten year stints as Senior Buyer with City Meats Phoenix and Vice President of Meat Operations at Braunger Foods in Sioux City, Iowa. While vacationing in Nova Scotia where his father grew up, a stop at what was once his great-great uncle’s house changed Gordon’s life. The man renovating the house happened to be Chicago’s mob boss Tony Accardo’s illegitimate son, Stephen. Stephen’s mother, who survived a mob hit and attempted kidnapping, was one of many affairs Tony Accardo took to his grave. The story of Joe Batters started to manifest. After nearly ten years of research,Neil Gordon is the author of the sensationally terrifying book Joe Batters, the definitive work on Tony Accardo and The Chicago Outfit. A creation of nonfiction, this is the last untold story of the 20th century.Neil Gordon is excited to share Joe Batters with Mafia fans around the globe. Accardo had secrets, not the boyish yarns of pranks and horseplay, but Hitchcockian tales of the macabre. He owned Las Vegas, from the Desert Inn and Sahara to the Stardust and Caesars. Why has this story never been told? Accardo killed everyone in his path. Ruling his criminal empire from the depths of the shadows, he influenced national policy, exploited the FBI, owned Supreme Court Justices and fixed presidential elections. Add in the mobbed-up careers of Frank Sinatra and his Rat Pack, every gangster from Al Capone to John Gotti crossed his path. With the passing of Tony Accardo (aka Joe Batters) in 1992, America lost forever the inside story on Jimmy Hoffa, Sam Giancana, Bugsy Siegel, Lucky Luciano, Johnny Roselli, Lee Harvey Oswald, Marilyn Monroe, and President John F. Kennedy. Joseph Baar Topinka, a 1990 University ofIllinois graduate, recently published a biography about his late mother, Judy Baar Topinka, a journalist turned elected official who became the first woman elected state treasurer (1995-2007). The "Just Judy" author believes the principles his mother lived by — good government, civility, ethics and a love of heritage — will resonate with readers, particularly those who aren't familiar with her career, which also included terms as a state representative, state senator and comptroller and a 2006 run for governor. The first Republican nominated for that office lost to Rod Blagojevich. Just Judy: A Citizen and Leader for Illinois is a wonderful resource for 6th grade and up, with over 100 interactive classroom activities, critical thinking and self-reflection essay questions, and research prompts to fuel additional learning based on the same principles that are covered throughout Judy’s story. Judy Baar Topinka continues to inspire us all and, through the voice of her son, encourages us to follow in her footsteps to support our local communities, actively participate in our civic duties, respect one another, take pride in our own unique heritage, and embrace life-long learning. The votes are in! Eccentric seventy-something Vivian Borne—elected county sheriff, to everyone’s amazement but her own—springs into action. In her new role, the community playhouse diva appoints daughter Brandy reluctant deputy and makes their spunky shih tzu Sushi a K-9 unit of one. Soon the amateur-sleuths-turned-pro have a challenging case to solve as a series of creepy crimes plague an ill-fated Edgar Allan Poe festival, where a fiend is misguidedly dispensing Poe-etic justice. Small-town Antiqua, known for its quaint main street of antique shops, has set out to celebrate the gothic poet with food, fun, and rare memorabilia, only to have the Master of the Macabre’s twisted tales come to deadly life. A purloined tome, a black cat, a musty mausoleum, and mysterious disappearances—these tell the tale of a heartless murderer. 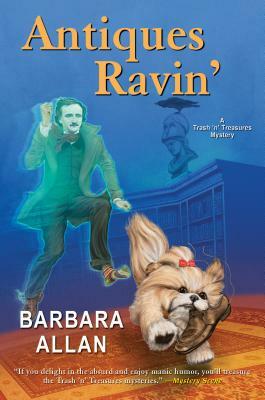 But Vivian and Brandy Borne are determined to decipher the cryptic clues to make sure a ravin’-mad killer strikes “nevermore”! Don’t miss Brandy Borne’s tips on hunting for valuable antiques! 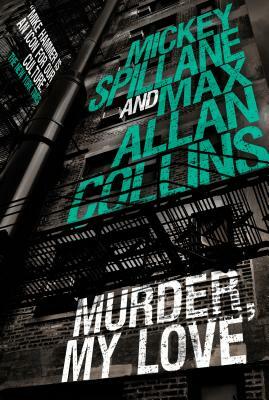 Barbara Allan is the joint pseudonym of acclaimed short story writer Barbara Collins (Too Many Tomcats) and New York Times bestselling mystery novelist Max Allan Collins (Road to Perdition). 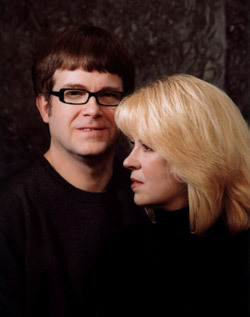 Their previous collaborations have included one son, a short story collecion and two novels. They live in Iowa in a house filled with trash and treasures. Hammer is summoned to a meeting with Jamie Winters, United States Senator from New York, and Jamie's lovely, very smart wife, Nicole, considered by many to be the power behind the throne. Winters is being blackmailed, and Hammer is given a list of suspects who may be behind the threats to the Senator's career. But when the suspects begin to drop like flies, Hammer realises there is more to this case than just a salacious tape. Krueger writes a mystery series set in the north woods of Minnesota. His protagonist is Cork O’Connor, the former sheriff of Tamarack County and a man of mixed heritage—part Irish and part Ojibwe. His work has received a number of awards, including the Minnesota Book Award, the Loft-McKnight Fiction Award, the Anthony Award, the Barry Award, the Dilys Award, and the Friends of American Writers Prize. His last nine novels were all New York Times bestsellers. Ordinary Grace, his stand-alone novel published in 2013, received the Edgar Award, given by the Mystery Writers of America in recognition for the best novel published in that year. 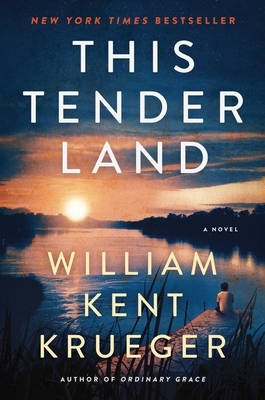 The companion novel, This Tender Land, is scheduled for publication in September 2019. 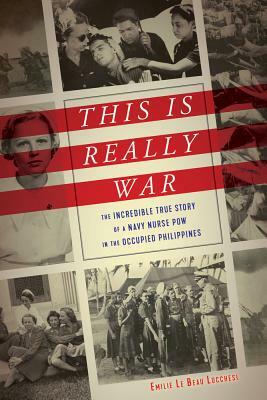 In January 1940, Navy nurse Dorothy Still eagerly anticipated her new assignment at a military hospital in the Philippines. Her first year abroad was an adventure. She dated sailors, attended dances and watched the sparkling evening lights from her balcony. But as 1941 progressed, signs of war became imminent. Military wives and children were shipped home to the states, and the sailors increased their daily drills. When Pearl Harbor was attacked, Dorothy and the other nurses braced for a direct assault. When the all-clear sounded, they raced across the yard to the hospital and prepared for the wounded to arrive. In that frantic dash, Dorothy transformed from a navy nurse to a war nurse. Along with the other women on the nursing staff, she provided compassionate, tireless, critical care. When the Philippines fell to Japan in early January 1942, Dorothy was held captive in a hospital and then transferred to a university along with thousands of civilian prisoners. Cramped conditions, disease and poor nutrition meant the navy nurses and their army counterparts were overwhelmed caring for the camp. They endured disease, starvation, severe overcrowding, and abuse from guards, but also experienced friendship, hope, and some, including Dorothy, even found love. Emilie Le Beau Lucchesi is the author of Ugly Prey and has contributed to the Chicago Tribune, Los Angeles Times, Atlanta Journal-Constitution, Baltimore Sun, Detroit Free Press, Miami Herald, Seattle Times and Crain’s Chicago Business. She has taught courses in media history, media criticism and journalism and is a frequent guest lecturer in graduate and undergraduate media courses. She lives in Oak Park, Illinois. Come help Allium Press celebrate their 10th anniversary with the launch of their newest title, K. P. Kyle’s Sync. The author will talk about her book, a contemporary techo thriller, and be available for signing. Also joining the celebration will be Allium authors Frances McNamara, D. M. Pirrone, Libby Fischer Hellmann, Tony Romano, and J. Bard-Collins. Their books will be available for purchase and signing. Allium Press was founded in Forest Park in 2009 as a small independent press and publishes fiction with a Chicago connection—including literary fiction, historical fiction, mysteries, thrillers, and young adult fiction. K. P. Kyle was born and raised in Richmond, Virginia, where her mother was the founder and owner of the much-beloved independent bookstore Narnia Children’s Books. She received her BA from the University of Chicago and her DVM from Cornell University. She has lived in South Boston, Massachusetts for the past sixteen years, with the exception of two years spent in Senegal. She works as a veterinarian and shares her home with a bush dog and a black dog. This is her debut novel. 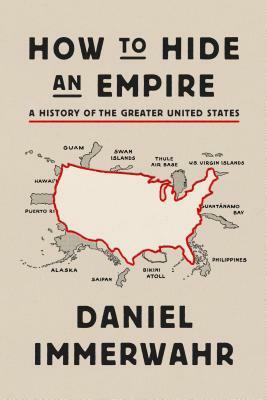 Daniel Immerwahr (Ph.D., Berkeley, 2011) is an associate professor, specializing in twentieth-century U.S. history within a global context. His first book, Thinking Small: The United State and the Lure of Community Development, (Harvard, 2015), offers a critical account of grassroots development campaigns launched by the United States at home and abroad. Professor Immerwahr won the Organization of American Historians’ Merle Curti Prize. At Northwestern, he teaches courses of U.S. foreign relations, global history, intellectual history, and the history of capitalism. His writings have appeared in Modern Intellectual History, the Journal of the History of Ideas, Dissent, n+1, and Jacobin, among other places. Immerwahr regularly offers undergraduate courses on global history, U.S. foreign relations, and U.S. intellectual history. He has taught graduate seminars on international development, global history, modern empires, the United States’ empire, and pedagogy. National Endowment for the Humanities Fellow, Huntington Library, 2015–2016. 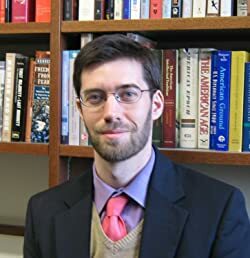 Stuart L. Bernath Lecture Prize, Society for Historians of American Foreign Relations annual award for “excellence in teaching and research in the field of foreign relations” by a younger scholar, 2015. Honorable Mention for the Betty M. Unterberger Dissertation Prize, Society for Historians of American Foreign Relations award for best dissertation on any subject in U.S. foreign relations, awarded biannually, 2013. Weinberg College Award for Outstanding Freshman Advising, Northwestern University, 2013. Allan Nevins Prize in American Economic History, Economic History Association award for best dissertation in U.S. or Canadian History, 2012. The Mykonos Mob reveals the wildly lucrative dark side of an internationally renowned Greek island playground for the world’s rich and famous, those battling for control of its vices, and the innocents affected by it all. The case begins for Athens’ Chief Inspector Andreas Kaldis with a literal bang—a corrupt former police colonel who runs a protection racket on Mykonos is gunned down. And Kaldis is suddenly face to face with Greece’s top crime bosses, all just as surprised and baffled as he is at the assassination. Who is making a move—if a move it is—and what else might it be?—to take over the island’s vice operations. Maybe legitimate businesses too? One of the Aegean’s Cyclades islands, Mykonos was poor until a few decades ago, but today is a renowned 24/7 summer hot spot filled with tourists who enjoy its beaches and iconic landmarks by day and party in its bars and massive dance clubs by night. As an international playground and cruise port, Mykonos is just begging for more exploitation—and not just by the Greeks. While Andreas and his Special Crimes unit wrestle for answers, his wife Lila is similarly engaged but her focus is what meaningful role beyond wife and mother will she fill? Daughter of a wealthy family, it isn’t about money. Her quest takes her to her parents’ home on Mykonos where she meets Toni, an American ex-pat, a fixer and finder of stolen goods, playing piano in a gender-bending bar with a zest for life and no apparent regard for rules. How does what Lila and Toni discover together about themselves—and how they mentor young island girls trapped in an exploitative and patriarchal culture—intersect with Andreas’ investigation? The Mykonos Mob is 10th in a series of “…thoughtful police procedurals set in picturesque but not untroubled Greek locales.”—The New York Times. They are thoughtful, and attuned to both ancient and modern Greek society, but they are also unsparingly filled with thrills.The Mykonos Mob reveals the wildly lucrative dark side of an internationally renowned Greek island playground for the world’s rich and famous, those battling for control of its vices, and the innocents affected by it all. I am an American living on the Aegean Greek island of Mykonos. 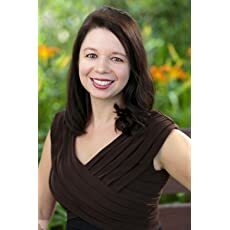 A Pittsburgh native and former Wall Street lawyer, I gave up my career as a name partner in my own New York City law firm to write mystery thrillers that tell more than just a fast-paced story. My novels are aimed at exploring serious societal issues confronting modern day Greece in a tell-it-like-it-is style while touching upon the country's ancient roots. 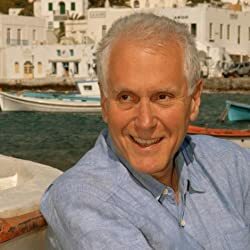 The New York Times Book Review has honored my work by designating me as Greece’s thriller novelist of Record, and the Greek Government’s General Secretariat of Media and Communications has selected me as one of six authors—and the only American—writing mysteries that serve as a guide to Greece. Some Mykonian friends told me if I started sprinkling murders with a message across my adopted country's tourist paradises, I'd likely be banished, if not hung. No one was more amazed than I when my debut novel, Murder in Mykonos (a sort of Mamma Mia setting for a No Country for Old Men story), became Greece's #1 best selling English-language novel (and a best-seller in Greek, as well). As of April 2019 there are ten Chief Inspector Andreas Kaldis novels out there and I receive no more than the customary number of death threats. I'm diligently trying to improve my percentage in that regard with posts about Greece each Saturday on the Murder is Everywhere blogsite I share with nine renowned mystery writers from around the world. It's been a remarkable journey, punctuated most notably by The New York Times selecting the fourth in my Andreas Kaldis series (Target: Tinos) as one of its five "picks for the beach" while calling the entire series, "thoughtful police procedurals set in picturesque but not untroubled Greek locales;" Left Coast Crime's nomination of the fifth in the series (Mykonos After Midnight) in 2014 as Best Mystery in a Foreign Setting; a 2016 Barry Award Best Novel Nomination for my seventh in the series (Devil of Delphi); Library Journal selecting my ninth book as “one of the best books of 2018” (An Aegean April); starred reviews and official government citations; and this quote from Fodor's Greek Islands Travel Guide under a section titled "Mykonos After Dark," which colleagues say I should consider the equivalent of winning an Oscar: "Some say that after midnight, Mykonos is all nightlife—this throbbing beat is the backdrop to Jeffrey Siger's popular mystery, Murder in Mykonos."